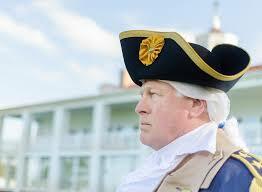 Vern Frykholm began portraying Washington in February, 2012 and has given over 300 portrayals to more than 20,000 people. He has talked to students at public and private schools; service clubs; libraries; business and church groups; and regional conferences. He has been at the George Washington Inn in Sequim, WA for both the Lavender Festival in July and the Northwest Colonial in August for four years. We would love to have you join us in person this Thursday, October 11 at 11:45 am at Baja Cantina to listen to President George Washington speak. If unable to join us in person, feel free to use Go To Meeting and log into Sequim Rotary.